注意：BioShock Infinite supports both the Microsoft Xbox 360 wired gamepad and the PlayStation 3 Dualshock 3 Wireless Controller in addition to the Macintosh mouse and keyboard. 注意：This game is not supported on volumes formatted as Mac OS Extended (Case Sensitive). 注意：The following video chipsets are unsupported for BioShock Infinite: ATI RADEON 2000 series, HD 4670, HD 6490M and 6630M, NVIDIA 9000 series, 320M, 330M, Intel HD 3000, Intel Integrated GMA chipsets and 3100. 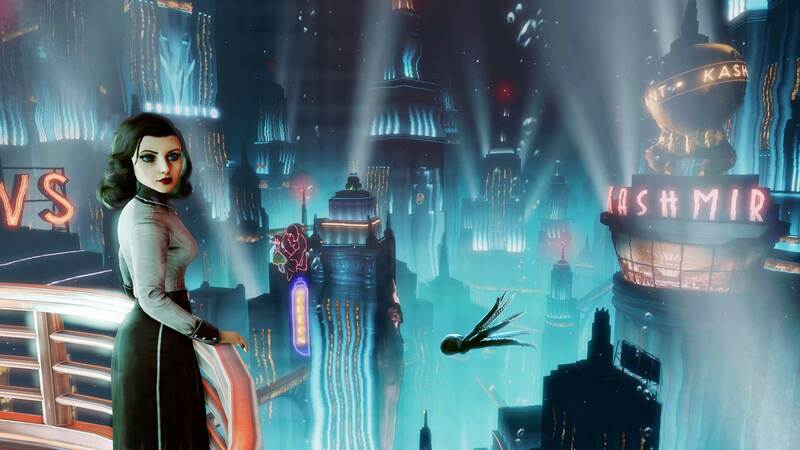 注意：The Mac version of Bioshock Infinite is available in English, French, Italian, German and Spanish only.